Camille Cater is a fourth year student in International Relations and Global Studies as well as Sustainability Studies, with a minor in French. She is interested in how climate change affects the public health, social justice, politics, and economic development countries. She is currently an intern at Rainforest Partnership, a non-profit that works with rainforest communities in South America to grow their economies in a sustainable way that respects both people and nature. Priya is a senior at UT Austin. She is dual-majoring in Government and Human Development and Family Sciences, completing a certificate in Business Foundations and earning her teaching certificate through the UTeach - Liberal Arts program. She has worked for several politically affiliated offices such as the Policy Office for the Texas Speaker of the House and the Asian American Pacific Islander Association for Public Affairs. Most recently, Priya taught high school science for Breakthrough of Greater Philadelphia, a program geared towards prepping motivated students from under-served communities for college. In the future, Priya hopes to work internationally in the peace and conflict field. Priya is also the Program Assistant for IPD. Evelin Caro Gutierrez is a Government and Philosophy major at The University of Texas at Austin. She is also pursuing an interdisciplinary certificate in Ethics and Leadership in Law, Politics and Government. Originally from Cuba, Evelin is passionate about human rights and social justice. She has been an advocate for refugees and underprivileged communities through her work with Sewa International, Refugee Services of Texas and the Texas Legislature. Evelin also participated in the Archer Fellowship Program in Washington DC, where she interned for the Organization of American States, in the Secretariat of Strengthening Democracy. She plans to become a human rights lawyer who advocates for the disadvantaged and underprivileged. Amy is a fourth year Geography and Government major with a Bridging Disciplines Certificate in Human Rights and Social Justice. 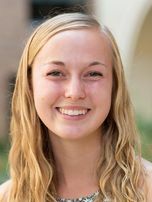 In addition to working with IPD, she is an undergraduate research assistant working on birth registration and citizenship issues in the developing world, especially in African countries. Amy has completed internships at Peace Corps Headquarters and The Chicago Council on Global Affairs, both in Washington, D.C., and will be going into the Peace Corps in South Africa after graduating in December. Ethan is a second-year student majoring in Plan II and International Relations & Global Studies with a minor in Chinese. His research interests include international trade, global peace development through public policy, and development policy. As a member of IPD, he hopes to learn about current research in the fields of international development and diplomacy to help formulate possible solutions for worldwide economic stability and conflict resolution. Erin is a senior International Relations and Global Studies student with a focus in international security. She is a Clements Center for National Security Fellow and is completing her final year in the Arabic Flagship Program; she is proficient in English, Arabic, Spanish, and American Sign Language. Her interests include international development, conflict resolution, and refugee migration. During her time at UT, Erin has volunteered with several refugee organizations in Austin, assisting Levantine refugees in resettlement. Additionally, she has volunteered throughout Latin America in youth development. Before her time in Austin, Erin worked as an Americorps member focusing on youth development and education in South Los Angeles. In her free time, Erin enjoys watching documentaries, Model United Nations conferences, and learning new languages. Fabiha Mobin is a second year undergraduate student studying IRG, with a focus on international security and regional study of the Middle East. She is currently in the International Affairs Society. She has volunteered with the Bangladesh Embassy for the past five years. Hannah is a fourth year Government major and History minor. She has an interest in human rights studies with a focus on global development and refugee migration. Hannah has interned at Caritas of Austin, assisting in rapid rehousing for refugees and others experiencing homelessness. In her free time Hannah is a cause advocate at a local nonprofit, Market of Hope, organizing fair trade markets around the US. After graduation, she hopes to attend law school, focusing on human rights law, and eventually start her own nonprofit. Jade Tucker is a third-year undergraduate majoring in International Relations and Global Studies at the University of Texas at Austin. Her interest is in US relations with the social and community development of less developed countries. Through her recent study abroad in Ghana, she was able to get first-hand experience and the effects of international trade and polices from the western world. She desires to obtain knowledge of international affairs and public policies through social and political interactions on her campus. 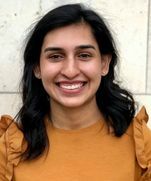 She is currently the President of the IGNITE chapter at UT, a national non-partisan organization dedicated to encouraging women interested into politics to become civically engaged on campus and in society. She continues to interact with her community as a volunteer for the Dallas County Democratic Party and as a former legislative intern for a Texas Senator. I am a senior in International Relations and Global Studies, with a focus on International Security. I have traveled extensively in the United States, and have recently begun to travel abroad. By the time I graduate, I will have lived in 9 different cities, and taken classes with 5 different universities. My diversity of experience has given me insight into lifestyles, cultures, and sociological issues that I otherwise never would have fully understood. I was originally drawn to IPD, and the data analytics world, because it allowed me to turn chaos into something comprehensible. Small bits of everyday data, in the right hands, creates compelling stories--and once the truth is laid out in a visible, comprehensible form, change begins to happen. Last year I worked on the Data4Peace team to conduct analysis related to Columbia's Peace Deal. I am exited to see what will come this year, and what new revelations we may find. Mackenna is a second-year student double-majoring in International Relations and Global Studies and Economics. She is focusing on Middle Eastern Studies and is a member of the Arabic Flagship Program and the Refugee Student Mentor Program. Her interests center around conflict prevention and response, including combatting terrorism finance, facilitating free and fair elections, and providing legal and health services for refugees. She interned with the U.S. Department of State at the Foreign Service Institute. On campus, she serves as Director General for Houston Area Model United Nations, Vice President of Women in Foreign Affairs, Academics Chair for International Affairs Society, Director of High School Relations for Texas THON, and a moderator for Central Texas Model United Nations. Nicole is a junior International Relations and Global Studies major focusing on Latin American Studies and International Security. Additionally, she is completing certificates in Core Texts and Ideas & Conflict Resolution and Peace Studies. As a member of the Governance team, Nicole has contributed to projects focusing on natural resource extraction and collection worldwide. She aspires to work in foreign service in her future. Sophia is a junior pursuing a degree in International Relations and Global Studies with a focus in International Political Economy. Sophia’s passion for working towards a career in sustainable development and civil rights began in 2015 when she completed a Civil Rights Fellowship in South Africa working with the Nelson Mandela Institute, The University of KwaZulu-Natal, The Phoenix Project and other NGO’s. Sophia is also a member of several international student organizations on Campus such as the Latin Economics and Business Association and the International Justice Mission. Emma is a senior at UT Austin. She majors in International Relations with a special focus in international security and Middle Eastern Studies. She is also completing a certificate in Business Foundations. She has worked in the IPD Chinese Development Finance Team and carried on this summer with Chinese Academy of Social Sciences in conducting a case study on tied aid patterns and contributed to the institutions's framing of Chinese economic diplomacy. Most recently, she took a trip to Iran and studied theories of hybrid authoritarianism, imperialism residue, and alternative development as interests stemmed from her trip. After working with a Herbert Smith law firm on international transaction laws during the summer, Emma hopes to dive deeper into this field and is currently applying for law school. 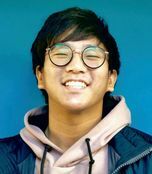 ​Beomhak is a sophomore studying International Relations and Global Studies. He is interested in the issues of climate change, cyber security, and refugee crisis. Beomhak hopes that he can use her experience with IPD to expand his interest in international security, governance, sustainable development, and conflict resolution. Bethany is a third-year Liberal Arts Honors student pursuing a double major in Middle Eastern Studies and Arabic, a minor in Persian Studies, and a business certificate in Global Management. She grew up primarily in North Africa and the Middle East, attending school in French until the ninth grade. In addition to English and French, Bethany speaks Spanish and Arabic and is currently learning Farsi. She spent the last summer studying abroad in Prague, as well as spending five weeks volunteering with Syrian refugees in Lebanon. Bethany is involved the Clements Center for National Security as an undergraduate fellow. 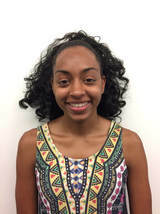 She hopes to pursue a career in the State Department or working with non-profits in North Africa and the Middle East. Felipa is a undergraduate, Liberal Arts Honors student at the University of Texas at Austin, double majoring in International Relations and Global Studies and Government. She has volunteered with Micah 6:8 food pantry to assist Spanish speakers with filling out paper work, and worked in Eagle Pass teaching a free Sunday School to kids in Spanish. She studied abroad in Santander, Spain, to work on her language skills and understand the complexities of the region. She enjoys meeting new friends from around the world, dancing with the Texas Ballroom Club, and traveling. Taryn is a Plan II and International Relations student in the College of Liberal Arts. She is also obtaining a Public Policy certificate, and is interested in IPD’s work with policy and its impact on infrastructure development within communities. Taryn is passionate about human security in developing governments, resource quality and distribution, and research in aid impact. She is most interested in learning data analysis skills and quantitative measures of development. Taryn has worked in UT Student Government through Longhorn Legislative Aides and the Hook the Vote agency, aided in community development and mentorship in Austin with Mount Nebo, and interned at the Texas Capitol under Representative Ina Minjarez. She is currently studying international law and politics at Sciences Po in Reims, France. Shelby is a International Relations and Asian Studies major at the University of Texas. Her interests include peace and conflict studies and its intersection with women and gender relations. 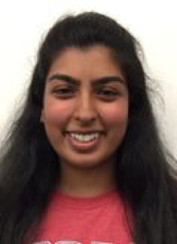 She currently works for Amaanah Refugee Services and is the president of the Longhorn Malayalee Student Association. Eun Young is a PhD student at the LBJ School of Public Affairs. Her research interests encompass topics of program evaluation in the international development context, statistics and open data for policymaking, and policy transfer. Previously, she worked as a researcher at the Center for International Development Evaluation at Seoul National University while doing her masters, participating in projects for evaluation framework design and helping organize workshops for evaluation capacity-building. She received her MPP as well as BAs in Economics and in Political Science from Seoul National University.